It is no secret that we love 3D printing. In a word, 3D printing is badass. 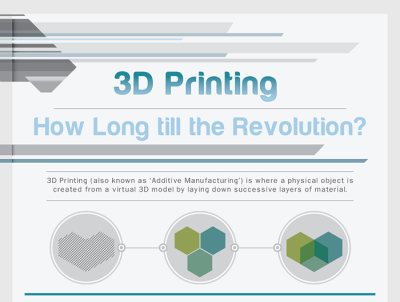 The uses and applications for 3D printing are just about endless. From 3D printed models of hearts, to prosthetic limbs, to ketchup bottle tops, to consumer goods just about anything you can think of can be printed. Further, all indications point to an even larger impact in the coming years. Until very recently, the cost of a 3D printer have been prohibitive. However, with companies beginning to churn out affordable 3D printers, it appears that we are on the verge of a major revolution. We just came across the below infographic, from MyPortableWorld.com, that does a great job of showing hiw this movement is progressing, and what may be next.